DOES ANY IMAGE evoke summer more than a canoe drifting across a crystalline lake edged with pines? Just the smell of bristlecone brings back memories of splintery wooden docks, mint cool waters and the endearingly gloppy porridge served at sleep-away camp. 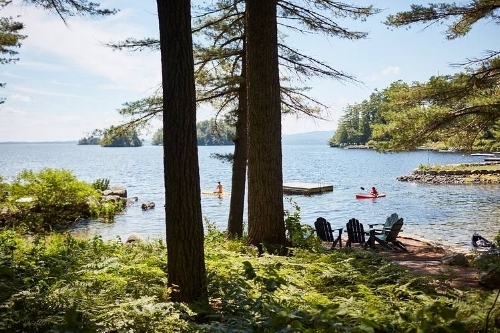 At the Migis Lodge on the northwestern banks of Maine’s Sebago Lake...CLICK HERE for the rest of the article from the Wall Street Journal.